Nando’s Peri-Peri, the fast growing international chicken restaurant, is opening its doors at a new location in Washington, DC’s renovated Boilermaker Building at The Yards. The restaurant, scheduled to open in June 2013, will occupy 2,866 square feet and offer patio seating for those who want to enjoy the heat this summer. 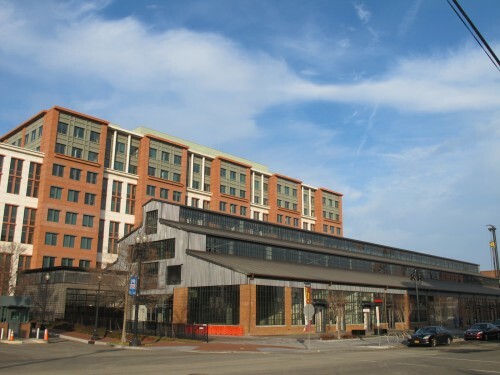 This will be the flame-grilled chicken restaurant’s twelfth location in the United States, following the March 2013 opening of its first Baltimore location. Nando’s Peri-­‐Peri, BlueJacket brewpub, Buzz Bakery, Willie’s Brew & ‘Que, among others. We judged their Dupont location back in Sept. 2010. PoP-Ed: Did City Contractors Really Need to Cut Down Virtually Every Tree in Front of the Ross Elementary School?